Show off your unique personality with this unique contemporary style bookcase. 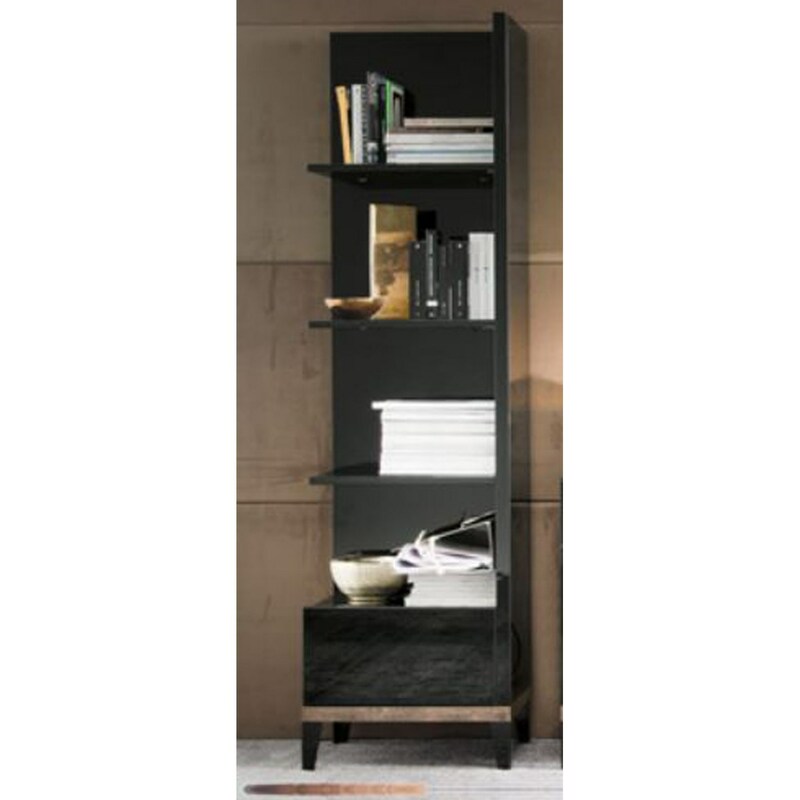 An open end mixes things up a bit from your run of the mill bookcase while the high glass black finish and sleek silhouette give the piece a modern look and feel. 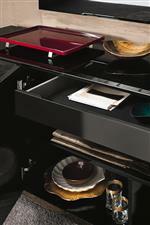 Four shelves provide ample display space while a bronze finished band on the base adds a bit more flash to the piece. 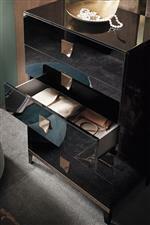 The Mont Noir Right Bookcase by Alf Italia at HomeWorld Furniture in the Hawaii, Oahu, Hilo, Kona, Maui area. Product availability may vary. Contact us for the most current availability on this product.